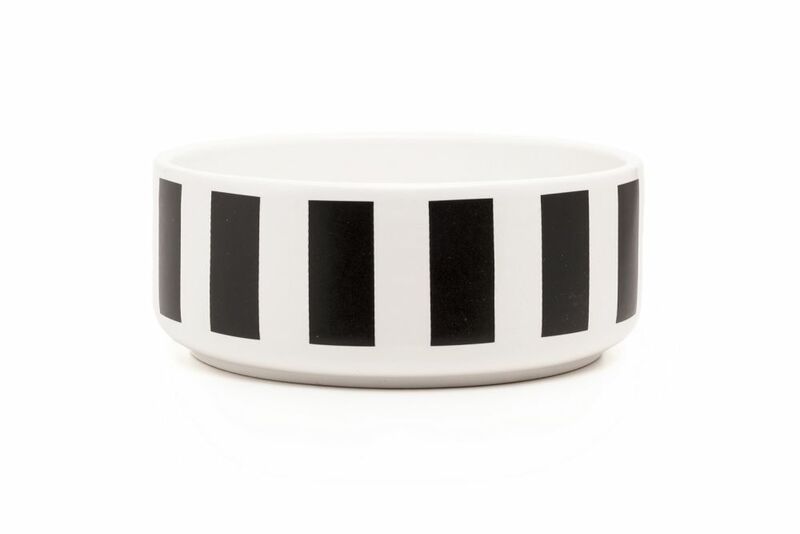 This is a cereal bowl, decorated with stripes all way round. Stack them on top of each other and mix designs to get a combination that you like! Available in blue, red and black. Where the black is striped vertically! See also the cereal bowls with spotted decorations. These cereal bowls are cast in stoneware clay and they are produced in Portugal.